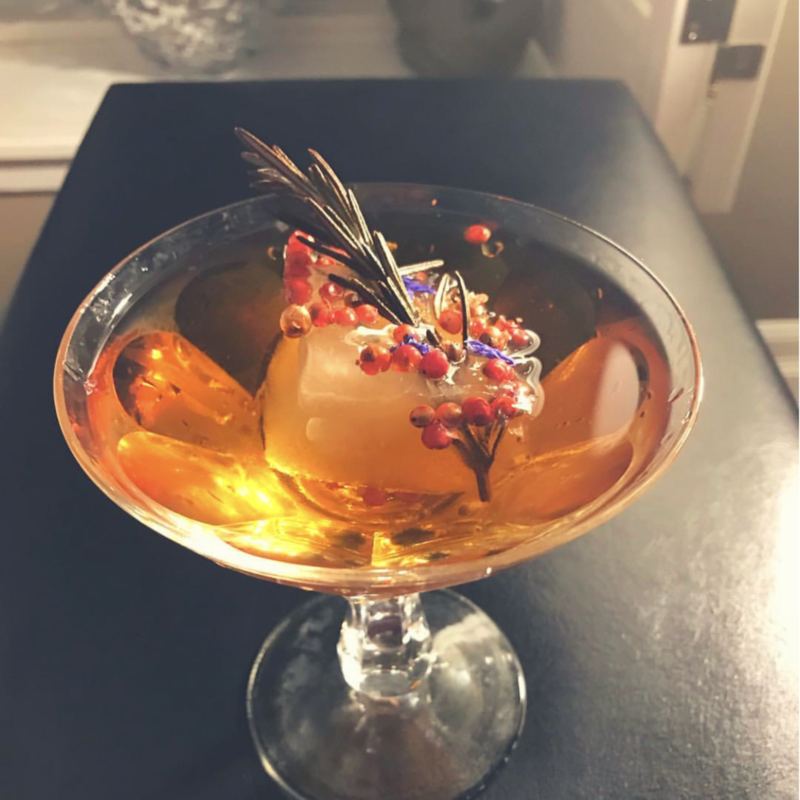 Place two ice cubes into a chilled Champagne coupe, add ½ tsp of confit de champagne a la rose, add 3 ozs of brut Champagne and garnish with a rosemary sprig. “Tis the Season for Champagne! 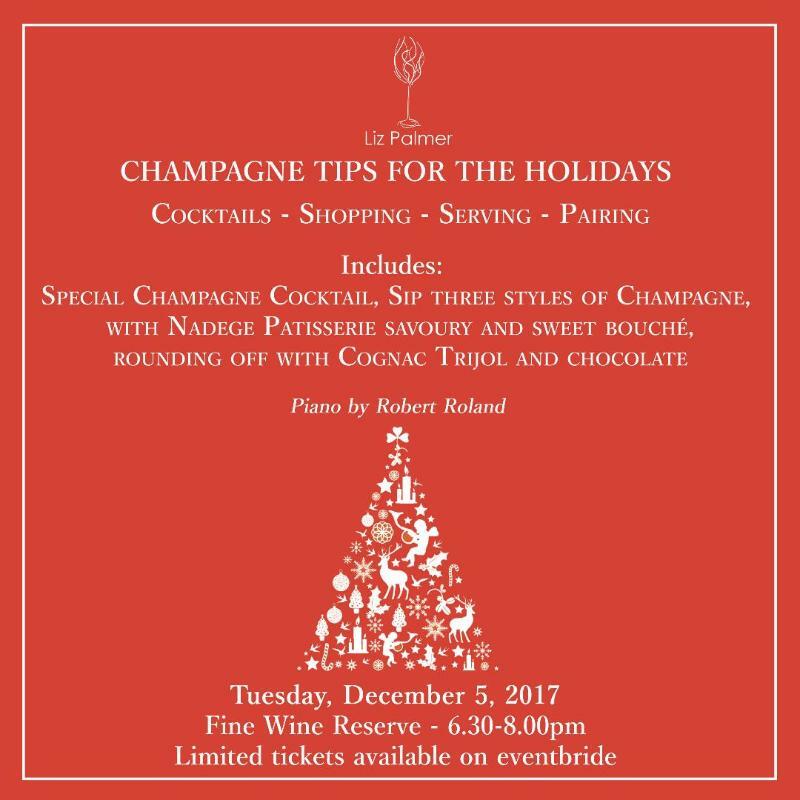 Join us at The Fine Wine Reserve for our first Annual Holiday Event! Toronto Champagne Event: Japanese Food + Champagne – The Perfect Pairing! Join us for a “Champagne Social’ and get some tips on pairing Japanese food with Champagne from leading Champagne expert Liz Palmer. 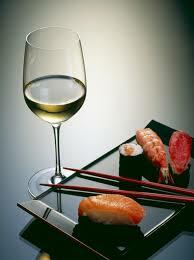 After a brief seminar on tasting, we will be pairing 2-3 champagne styles with Japanese food. Twice a month, we offer you the opportunity to learn about champagne in a tasting guided by Award Winning Author and Dame Chevalier, Liz Palmer. 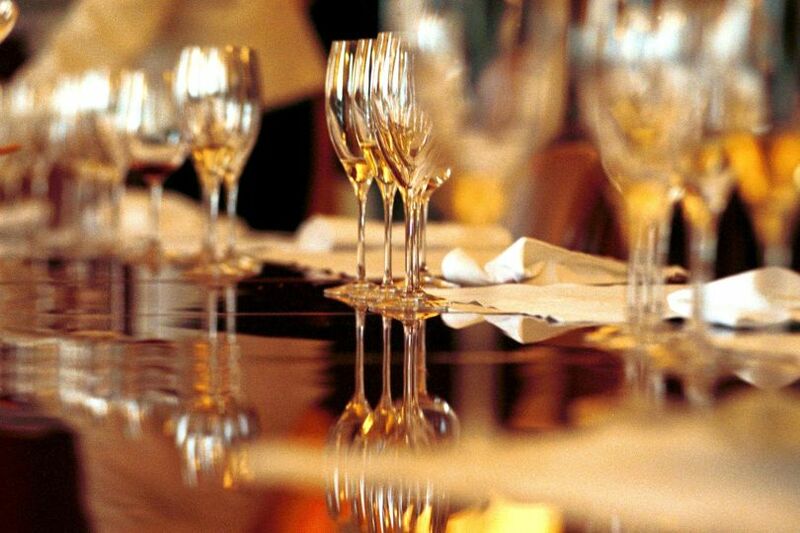 Do you have questions about Champagne Workshops + Corporate Events? 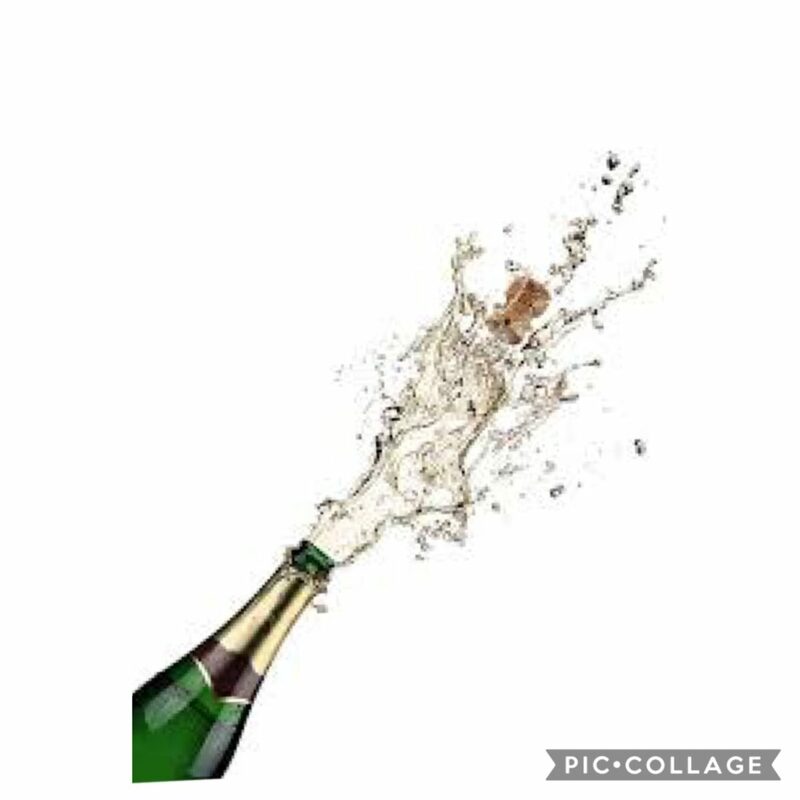 Author lizpalmerPosted on October 2, 2017 Format GalleryCategories Champagne, Champagne Workshops, Events, Wine and Food PairingsTags Champagne Socials, Champagne Workshops, Liz Palmer, TorontoLeave a comment on Toronto Champagne Event: Japanese Food + Champagne – The Perfect Pairing! Not only is Rosé Champagne popular, it is sophisticated and carefully crafted! At its best it combines yeasty complexity with supple fruitiness (from Pinot Noir and Pinot Meunier grapes). Each champagne house has its own approach to this delightful wine style. We will be tasting two side-by-side in this very popular workshop. To highlight the depth and complexity of Rosé Champagne, we will be pairing with various foods, including chocolate and red fruits. This is a limited seated tasting.